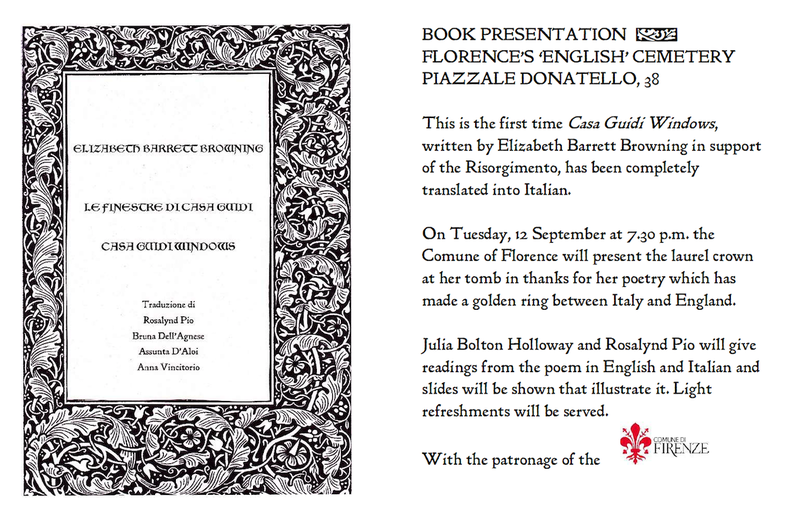 Book presentation at Florence ''English'' Cemetery on Tuesday, 12th of September. 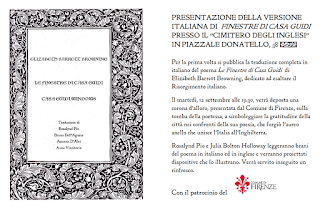 This is the first time Casa Guidi Windows, written by Elizabeth Barrett Browning in support of the Risorgimento, has been completely translated into Italian. 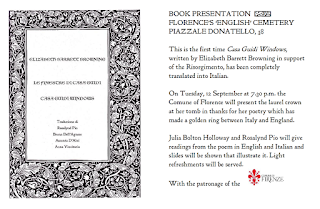 On Tuesday, 12 September at 7.30 p.m. the Comune of Florence will present the laurel crown at her tomb in thanks for her poetry which has made a golden ring between Italy and England. 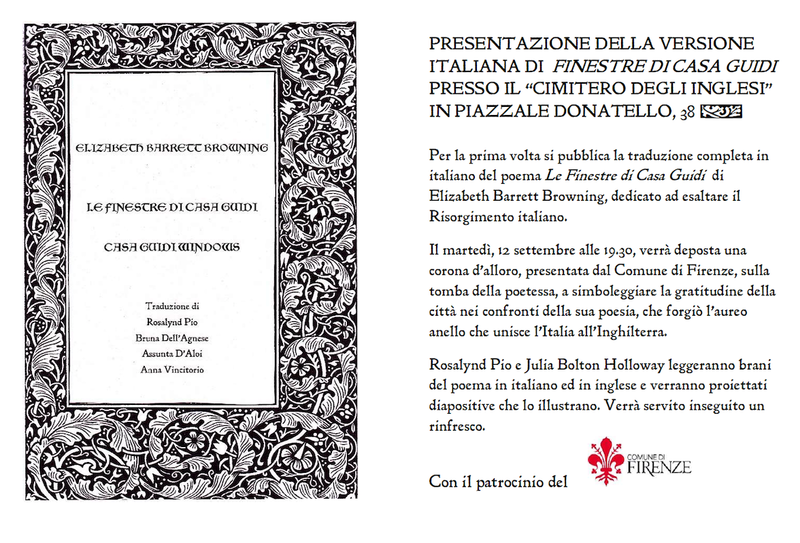 Julia Bolton Holloway and Rosalynd Pio will give readings from the poem in English and Italian and slides will be shown that illustrate it. Light refreshments will be served.